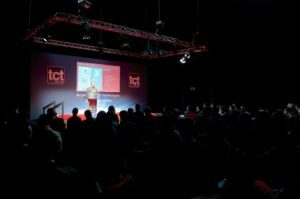 The TCT Show – one of the world’s leading 3D printing, additive manufacturing and product development events with 300 exhibitors and 10,000+ visitors – was held in Birmingham on 27th September and partnered by Birmingham City University. We sent our Digital Senior Technician, Paul Found, along to check it out and share what he discovered. The TCT Show 2018 at the Birmingham NEC brought together leaders in Additive Manufacturing machines, materials and bureau services for their annual trade show in the UK – along with technicians, makers and hobbyists who make the pilgrimage to the NEC every year to see what’s what and who’s who in Additive Manufacturing. Unlike in other years, there seemed to be less of a focus on new machines and processes this year. This perhaps suggests that for the moment, at an industrial level, 3D printing machines have reached a plateau with the refining of existing systems becoming paramount. For 3D printers aimed at hobbyists the story is much the same, with much research and development going into materials, and more importantly waste recycling. One of the main drawbacks with 3D printing, is the amount of waste plastic that is produced. Even when used for prototyping new products, there are failed prints and prints that show a design is not quite finished and necessitates further iterations – and further prototypes. When you add the vast number of models printed by hobbyists – much of it useless, it has to be said – there is a concerning problem of waste plastic being generated emerging. PLA, the most common plastic used in 3D printing, is biodegradable but many of the more “exotic” filaments, or those designed to have specific mechanical or chemical characteristics are not. water bottles, along with a range of filament makers that turn the waste into new spools of printable filament. Felfil have a similar idea but a slightly different approach. They sell a filament extruder that creates print-ready filament from shredded waste plastic or plastic pellets. There is a fully-assembled version available, a kit for anyone wanting to put the device together themselves, and also a semi-open source version where only mechanical parts are supplied and the buyer can make the rest themselves. The last of these will appeal to the hobbyists who are prepared to tinker and who, generate much of the waste plastic in the first place. With both of these systems, it is possible to have a closed loop of printing waste material recycle printing, saving resources and money, and reducing the amount of waste plastic produced by 3D printing processes. Interested in innovating with digital and 3D-printing? 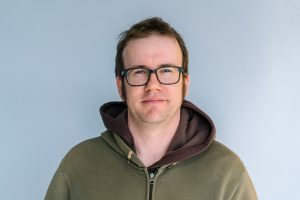 Apply to join Paul in the Digital workshop at STEAMhouse here. Fancy taking a tour to see all of what STEAMhouse has to offer, including our Print, Metal and Wood workshops? Take a tour with us here.